Weekly Roundup: Malala Speaks at SJSU and SF Pride – Peninsula Moves! 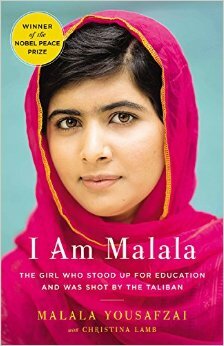 Young Pakistani Heroine Malala Visits the Bay Area: Malala Yousafzai, the 17-year-old Pakistani girl whose resistance to the Taliban inspired a nation and earned her a Nobel Peace Prize (the youngest ever recipient of the esteemed award), will visit the San Jose State University Event Center on Friday to give a speech about her amazing journey. At just 11 years old, Yousafzai began a blog writing for the BBC, shedding light on the brutal and repressive living conditions of residents living under Taliban rule in the contested Swat Valley of Pakistan. At age 15, she survived a point-blank assassination attempt in which she was shot three times, yet she still continues to advocate for improved living conditions for her Pakistani brethren. People interested in hearing her story can take Caltrain to the San Jose Diridon Station and transfer to the Valley Transportation Authority’s free Dash Shuttle for a trip to the event center. Bay Area Transportation Agencies Participate in Dump the Pump Day: Thursday marked the 10th anniversary of Dump the Pump Day, an initiative backed by the American Public Transportation Association to get commuters out of their cars and onto mass transit. Numerous Bay Area transportation agencies participated in the nationwide effort, including Caltrain and SamTrans, which hosted information tables at the San Jose Diridon Station and Colma Transit Center, respectively. Representatives from the agencies passed out Dump the Pump-themed giveaways, and helped passengers snap selfies inside of makeshift foam board photobooths. Customers who posted the photos online with the hashtag #dumpthepump were entered into a raffle to win a free SamTrans of Caltrain-themed messenger bag. Other local agencies, such as BART and VTA, also held contests with prize incentives on Thursday. Overall, more than 175 transit agencies from across the country participated in Dump the Pump Day. SF Pride Takes Place This Weekend: The largest gathering of Lesbian, Gay, Bisexual and Transgender (LGBT) participants in the nation, the San Francisco Pride weekend, will take place this Saturday and Sunday. There will be celebration events at the San Francisco Civic Center from noon to 6 p.m. on both weekend days, and a parade down Market Street on Sunday starting at 10:30 a.m. The weekend’s festivities, the 45th edition of SF Pride, will feature more than 200 parade floats, 300 exhibitors and 20 stages of events. The theme for this year’s celebration is “Equality Without Exception,” and the Grand Marshall for the 2015 parade will be Rick Welts, President and Chief Operations Officer for the Golden State Warriors, who recently captured their first NBA championship in 40 years. Welts is the first openly-gay sports executive in the nation. Caltrain weekend schedule offers hourly service and four Baby Bullet trains to the San Francisco station, which is a little more than a mile from the start of the parade route.